I think he overall loves what he teaches and does so in a way that engages everyone in the class. I've never been bored in here, even when reading pages of a single tax code, because he truly believes in what he teaches. He's very welcoming and isn't afraid to answer anyone's big questions, and is always willing to get to class early and stay late to help people out. I really appreciated how organized David is. He presents the information in a succinct, direct manner. I also really appreciate that David takes time to get to know us! I really felt appreciated in this class! I thought the discussions of the class were definitely the most beneficial and helped work out the pros and cons of the different ideas we were addressing. I liked the service learning project component as well to see how arts management looks in practice. Honestly I never left his class feeling unprepared for an upcoming assignment or project his power points are synced up very well with his teaching and probably most beneficial to me was the way he was able to teach using stories rather than just a text book. 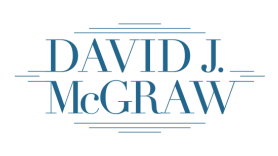 I love love love David's enthusiasm, preparedness, thoroughness, fairness, and availability. He's the only teacher I've had that has made me feel comfortable asking any question and participating in class. It was hard to NOT be engaged in this class. Everything was interesting and if it wasn't, David knew so he would do something to make it more appealing to us as students. The reading responses were my absolute favorite part of this class. Connecting real world issues with my own personal opinions and class lecture proved to be immensely valuable. It made me aware of current events, and gave a practical base knowlege for this field. I loved David's lectures. It's as if everyone is having a discussion or he's sitting down with his family at the dinner table and just talking instead of lecturing his students. Students are treated with a high level of dignity. It was impossible not to pay attention in class.